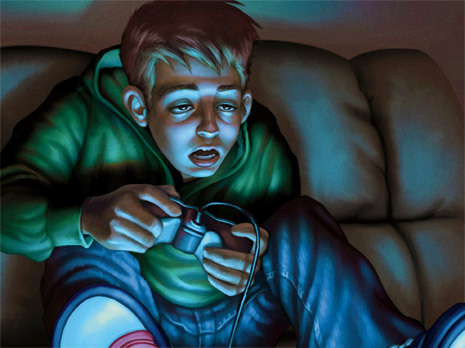 Video game addiction is an excessive or compulsive use of computer games or video games, which interferes with a person's everyday life. Online game addiction has a negative image and is becoming a public concern. Many people categorize addiction with either alcohol or drugs, but addiction can play also a part in a person's behavior. When one is addicted they need more of a substance or behavior to keep them satisfied. If a person does not get more of the substance or behavior they may become miserable or irritable.